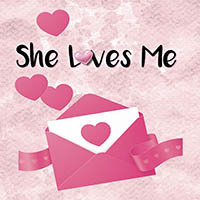 She Loves Me follows Amalia and George, two parfumerie clerks who aren’t the best of friends. Constantly bumping heads while on the job, the sparring co-workers can’t seem to find common ground. Little do they know, however, that the anonymous pen pals they have both been falling for happen to be each other! Will love continue to blossom once their identities are finally revealed?